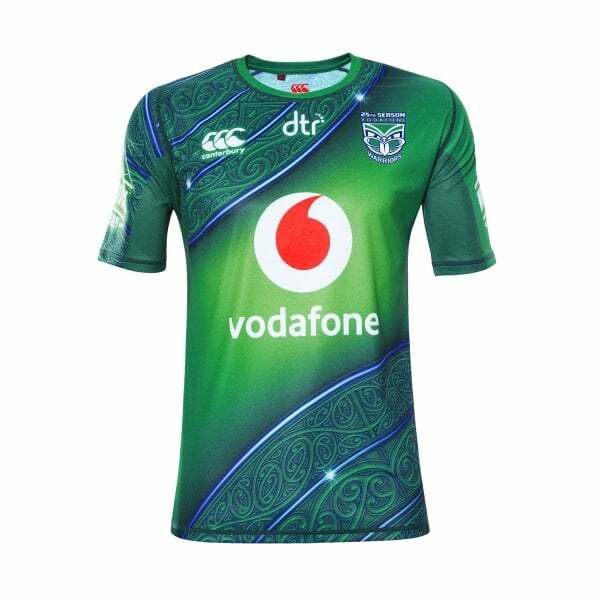 You’ll be the star on the training field in this eye-catching Training Drill Top from Canterbury, with a performance boosting VapoDri finish and heritage branding celebrating the Vodafone Warriors 25 years in the NRL. Canterbury’s Training Drill Top is quality training wear, designed to turn heads and boost your performance on the field. It features our renowned VapoDri moisture wicking technology to keep you drier for longer and the Vodafone Warriors’ 1995 foundation colours and commemorative logo celebrating the team’s 25 years in the NRL. A lightweight crew neck top you’ll find yourself wearing both on and off the field, this quality drill top is available now in Canterbury’s 2019 Vodafone Warriors Training collection. Because it bears the iconic CCC logo, everyone will know you’re a member of the Canterbury community of players, supporters and fitness enthusiasts.